I’ve been asked about Christmas breads as gifts recently so I put on my thinking cap. A lovely Christmas baking treat should be sweet and rich yet not too heavy and take the shape, of course, of something Christmassy. 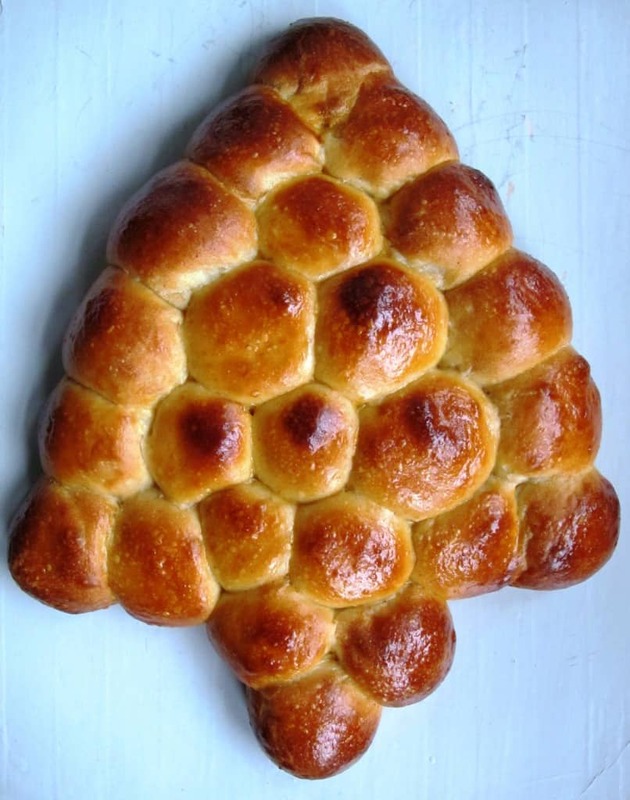 Try this Christmas tree bread recipe, it won’t disappoint! For the bread dough I adapted a recipe for Austrian Kipferl. My grandmother used to bring home Kipferl from our local bakery; they are a delicious treat, using dough enriched with milk and butter. Mix the ingredients together in a small bowl and leave to ripen at room temperature for about 20 hours. Put the flour and milk into a small saucepan. Whisk the ingredients together over a small flame and heat the mixture stirring continuously until it thickens. Take the pan off the heat and continue whisking for a further two minutes. Leave to cool, then place in the fridge for at least four hours. I usually put the water roux together at the same time as the poolish. 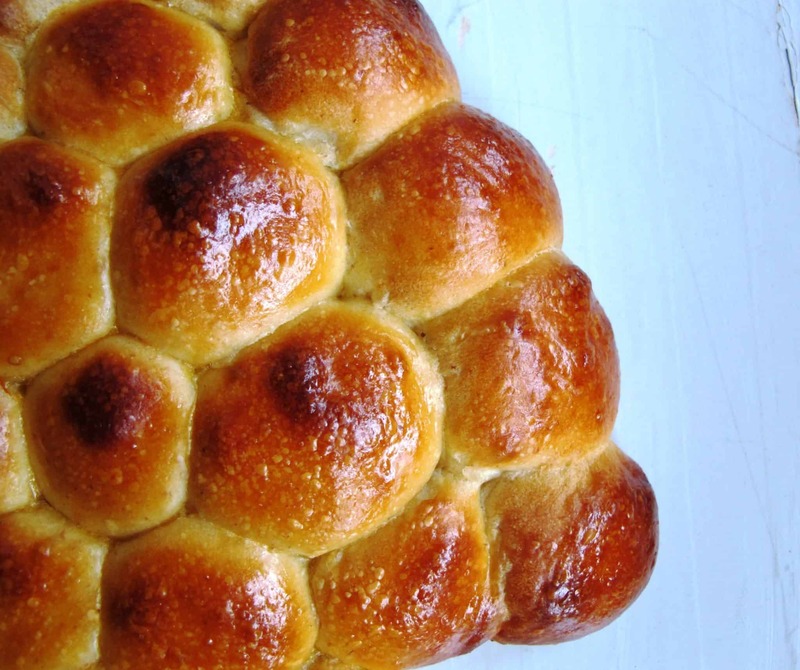 Combine all the ingredients (except butter) and knead for 10 minutes. Add the butter and continue to combine for another 5 minutes. Place into a bowl, cover and rest for 60 minutes at room temperature. After another quick knead, put the covered bowl into the fridge for 12 hours. Take the dough out of the fridge and keep it at room temperature for 2 hours or so to bring the dough temperature back to normal. 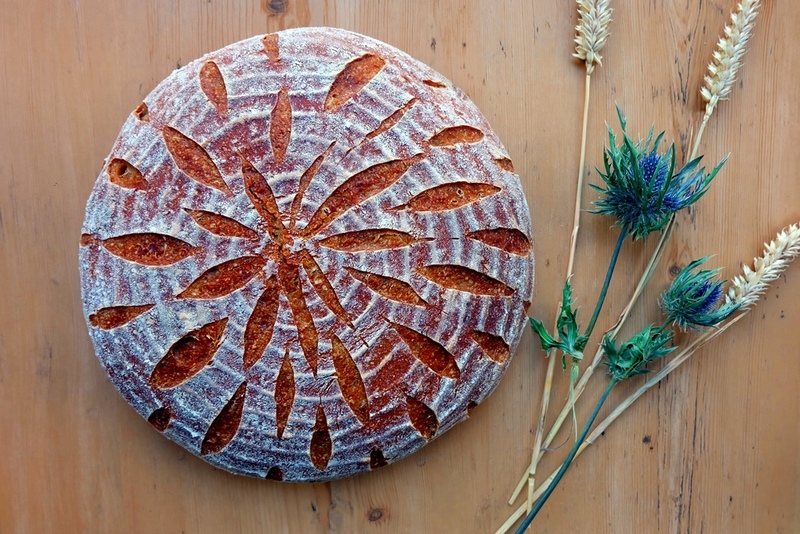 Divide the dough into 2 parts and shape into rounds. Cover with a tea towel and leave to rest for 15 minutes. Use a rolling pin to roll each dough piece into an oval shape, approximately 7 mm thick. Place on a baking tray lined with parchment paper. 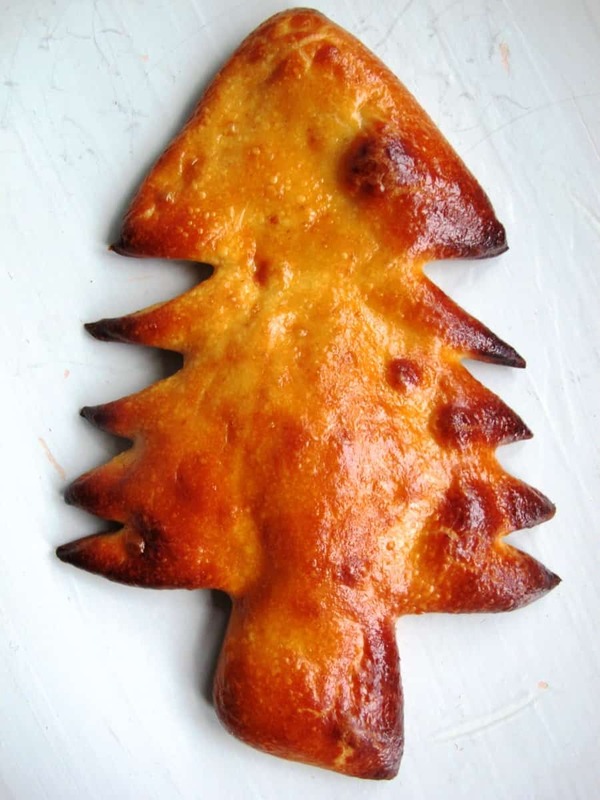 Using a dough scraper, cut out a Christmas tree shape. Shape 24 dough balls and arrange them on a second baking tray lined with parchment paper. Cover (best to be done with another baking tray as a tea towel would stick to the egg washed dough) and leave to prove for 90 minutes at room temperature. 30 minutes before baking, preheat the oven to 210°C. Brush one more time with egg wash, leave to briefly dry for 1 minute, then place in the oven and bake for 20 minutes. Et voilà – two perfect Christmas treats for your festive friends!